Ewwas Eli, a member of the Syrian Kurdish Democratic Union Party (PYD) has confirmed to Sputnik Turkiye that Turkey has cut off water supplies into northern Syria as a means of applying political pressure on the country. Syrian Kurdish media has recently reported that Turkey has cut off the flow of the Euphrates River into Syria, depriving the nation of one of its primary sources of water. According to the Kurdish Hawar News Agency, Turkey cut water supplies to Syria around February 23, which subsequently forced a hydroelectric plant at the Tishrin Dam to shut down while also significantly reducing water levels on its associated reservoir. The dam supplies both water and power to key parts of northern Syria, such as the city of Manbij and other parts of the predominantly Kurdish Kobani Canton. The dam is one of several major dams along the Euphrates River. Downstream from Tishrin lies the Tabqa Dam and its reservoir Lake Assad, which supplies Aleppo with most of its power and drinking water, as well as irrigation water for over 640,000 hectares (2,500 square miles) of farmland. 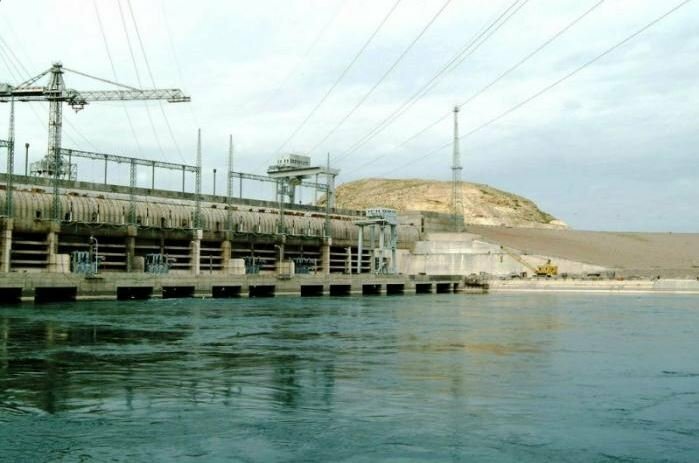 The management of the Tishrin Dam has issued a written statement where it informed of blackouts in Kobani, Manbij and a number of other settlements due to the reduction of water levels in the reservoir. "Due to the cut off the flow of the Euphrates River into Syria, the water level at the Tishrin Dam has dropped thus considerably decreasing the generation of electric power. Due to this reason, the hydroelectric plant at the Tishrin Dam was forced to shut down and halt the generation of electric power until the water level reaches the minimum mark which is necessary for the generation of electric power," reads the statement issued by the Dam's managers. Sputnik Turkiye discussed the issue with Ewwas Eli, a member of the Syrian Kurdish Democratic Union Party (PYD), responsible for the party's foreign policy, who confirmed that Turkey had cut off water supplies. "The electric power demands of Kobani and Manbij and a number of adjacent territories are being covered by the electric power generated at the hydroelectric plant at the Tishrin Dam. The water there comes from Turkey. There is a corresponding international agreement regulating the water resources," he told Sputnik. He further explained that the water flows from the Ataturk reservoir on the territory of Turkey first into Syria and then further to Iraq. Both Syria and Iraq have every right to this water. From the very first military clashes in Syria, Turkey started violating this agreement. Turkey has been withholding water from the Euphrates River for a month. The politician explained that Ankara has been doing it occasionally, then abruptly releasing it. The reservoir at the Tishrin Dam is relatively small, he said. And it is unable to cope with such a strong water flow thus forcing the management to open the dam. Such irregularities with water supplies cause electricity blackouts in Kobani, Manbij and Sirrin. The electricity is being supplied to the affected cities only for two hours per day. With the amount of water which can be currently amassed in its associated reservoir, the hydroelectric plant at the Tishrin Dam is able to work only for 2-3 hours per day. The adjacent territories are also experiencing shortages of drinking water. "Turkey has been cutting off water due to political reasons: to prevent the set-up of our project, the Federation of Northern Syria–Rojava," Ewwas Eli told Sputnik. He further explained how Turkey has been using water as a political tool: it has currently opened the water flow into Syria but its volume is not enough. The electric power generated at the hydroelectric plant at the Tishrin Dam is then supplied to the cities of Sirrin, Ras al-Ayn and Al-Hasakah. It is also being supplied to a large part of the territories in the north of the country. When there is a blackout, he said, life practically stops there. Turkey cutting the water supply, he said, violates international law, it is an inhumane act. International organizations and European countries should not ignore this problem, he concluded.